Pipe Light transforms used PVC piping and fittings into a light conveyor system. PVC is third most widely consumed plastic today, and is heavily used in building construction due to its low price and relative longevity compared with many other materials. Over half of PVC is used to manufacture pipes—accounting for two-thirds of water distribution pipes and 75% of sanitary sewer pipes in the U.S. Unfortunately, PVC is not yet widely recycled, suggesting that alternative uses for these pipes must be found after they have outlived their initial lives. Pipe Light is a project that transforms reused PVC pipes and fittings from conveyors of water to conveyors of light. Highly-reflective mirror film—such as multilayer optical film (MOF) made by 3M—is used to clad the interior surface of pipes so that they may transport light efficiently for long distances. Newly mirror-clad pipes may thus be inexpensively modified to propagate both daylight as well as point-source electrical light via the principle of total internal reflection (TIF). Pipes may be modified with slits and diffuser strips in order to operate as linear fixtures, drilled with extraction holes of various shapes and sizes, or treated as point lights that extend an illumination source a particular distance. Standard pipes and fittings may be combined to form sculptural installations of varying complexity. 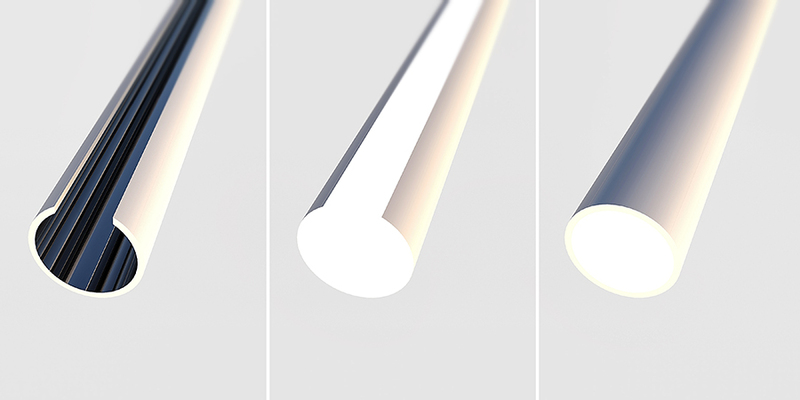 Modified PVC piping shown 1) with mirror film, 2) with point-source illumination transformed into a linear fixture, and 3) as an extended point light. 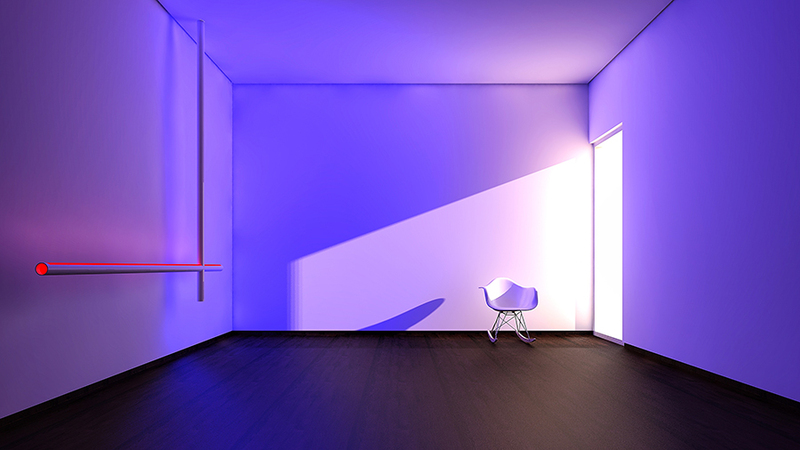 Pipe Light installed as a minimalist color-projecting sculpture.